It will help us update and maintain the above list. Your CAT 2015 scorecards will not be shared with anyone – just the data from the CAT 2015 scorecards would be shared here for student’s benefit. 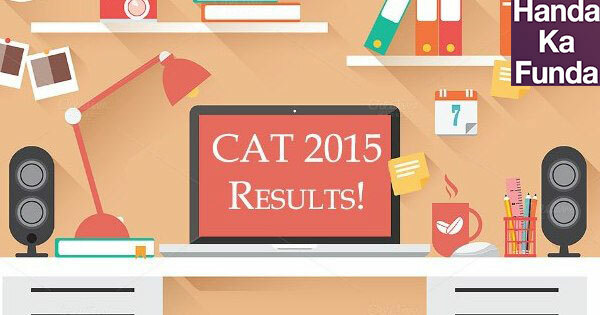 Some students were able to access their CAT 2015 results by following the process given below in the morning. Since the data is collected and uploaded, the results should be out shortly. I expect – today or tomorrow. 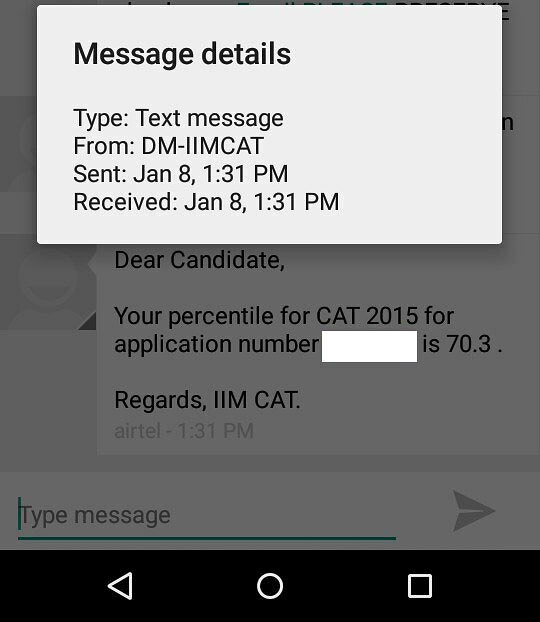 Students are getting SMS on their registered mobile number with their overall CAT %iles. A screenshot of a similar message is given below.